Every generation of Pokémon comes with literally dozens and hundreds of new monsters, forms and versions. It is the most exciting aspect of the games and during E3’s live gameplay of Pokémon Sun and Moon, we got a look at two upcoming creatures. 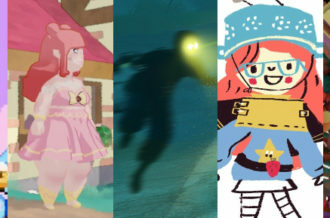 Then, a new trailer and posts made to the official website showed off a couple of other surprises. 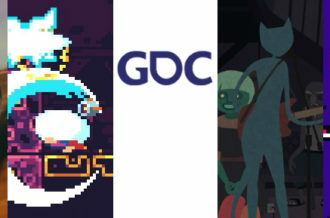 Let’s take a look at what was announced and delve further into speculation. First up is the initial new Pokémon encountered. Yungoos, the Loitering Pokémon, will wander around eating whatever it pleases then falls asleep where it stands. When it feels hungry it will get aggressive, hence the hangry look on its face. Yungoos have the Stakeout ability which powers up attacks landing on an opponent just entering battle. This is a new ability which so far is only available for Yungoos. As this is the beginning area Normal-type, we can expect it to evolve. With evolution comes more power and if it keeps the Stakeout ability it would possibly become too powerful, which may signal it gaining something else. Here’s an interesting bit of information on Yungoos as per the official Pokémon website. It mentions Yungoos as not being native to the Alola region and being introduced to help control the population of another Pokémon. This means there must be yet another unknown location in the Pokémon world. 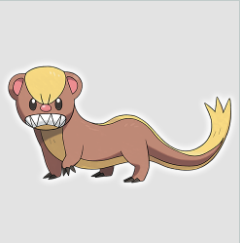 Also, since Yungoos is modeled after a mongoose, we may be looking forward to an undiscovered snake Pokémon. Searching information on Hawaiian mongoose brings up the Small Asian mongoose which was introduced to the island from India to combat rat populations. So, we could see Yungoos as Rattata’s rival. 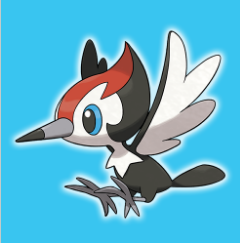 Then, we got a look at Pikipek, the Woodpecker Pokémon. It has the skill to peck with its beak sixteen times per second and can even shatter stone. They are also know to retrieve shiny objects and keep them in their nests hence its name being similar to pick-pocket. It is also known to spit seeds at opponents who are far away. 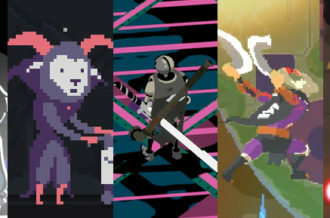 These bits of information may lead it to learning Thief and Bullet Seed, the latter of which will allow it to benefit from the Skill Link ability. Then, we can assume it will know other standard attacks for a woodpecker such as Drill Peck. It appears Pikipek will evolve, most likely twice, which is the usual amount for a starting bird Pokémon from other regions. It is interesting to note Pikipek was the very first Pokémon to be sort of shown off from the Alola region. A model image revealed its silhouette but we could only speculate as to what it could be. It is always handy to catch a Flying-type in the beginning, even if you don’t use it for battle, you can save it to teach Fly and make traveling much easier. After all the liveplay was finished we thought that was it. Just two and it would have been enough to satisfy plenty of fans. However, uploaded soon after was a trailer showing off yet another new Pokémon. 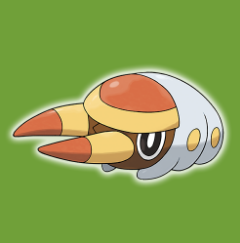 Grubbin, the Larva Pokémon, is seen as a typical beginner Bug-type. It was a complete surprise to see yet we all knew something like that would be coming. It has the Swarm ability which boosts Bug-type attacks and we already know it learns String Shot. Based on its website description, Grubbin love electricity and can be found near power plants which leads to the estimated guess that it could evolve into an Electric-type. It does have an impressive pair of pincers and is said to burrow underground which may signal it learning Crunch and Dig giving it a diverse set of moves. Grubs are the larval form of various species of beetles so there are many directions in which Grubbin can go. Japanese beetles, June beetles, and more are possibilities for interesting designs. Grubbin actually sort of resembles a plug that will fit right into an electrical outlet or device. Now, we will hop over to the legendary Pokémon. 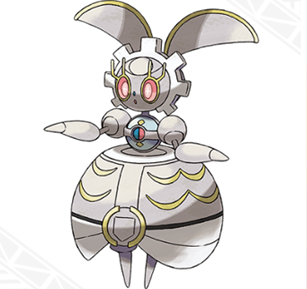 Within the same trailer as the previous three, we learn a bit more about Magearna. This is a Pokémon that was revealed all the way back in February but hasn’t been given much of an update as of late. We know it stars in a new movie but there wasn’t anything known about its in-game character. Now, it has been revealed to have a signature ability called Soul-Heart. This boosts Magearna’s Special Attack stat by one stage every time a Pokémon on the field faints. The video shows Magearna raising the stat when its partner faints, but based on the description this would also mean an opponent’s fainted Pokémon can also boost its special. If you happen to be in an intense Triple Battle with Magearna hanging on, it should benefit greatly. This will give its Fleur Cannon attack even more fire power. The new move seems to just be powerful and have no additional effects at this time. We also found out it changes its shape to look like a Poké Ball when it falls asleep. This might signal a form change like that of Darmanitan and possibly increase its defenses. 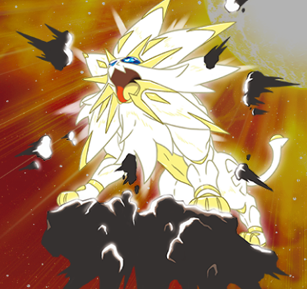 Solgaleo is the mascot for Pokémon Sun and Lunala appears in Pokémon Moon. We covered them previously in a video released early in the month where we learned about their types and attacks. Now, new information comes in with the announcement of both of them receiving a form change. 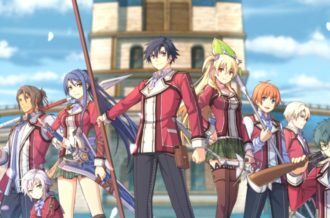 On the official site it is said once they perform their signature attacks, they will shift into a new phase. 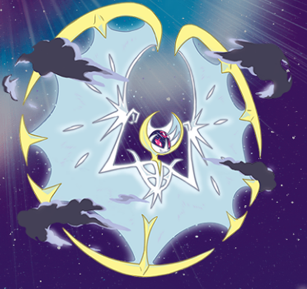 Solgaleo gains the Radiant Sun phase and Lunala’s is the Full Moon phase. This appearance gives them a glowing bodies and what looks to be clouds around them. These physical alterations may be similar to the Primal forms of Groudon and Kyogre. Their abilities might change along with types. Or, will it give them boosted stats like added defense. Maybe it will let them use 2-turn attacks at once since a move like Sky Attack describes the user as glowing. This is something else we will have to wait for but it’s obvious they are significant to the Pokémon, maybe even the storyline. All of this may seem like a lot to handle, but fans are all trying to get the most out of every bit of information possible. Pokémon Sun and Moon updates are bound to appear in the coming weeks and who knows what new goodies we’ll get to see. There are still two other Pokémon that haven’t been detailed yet! 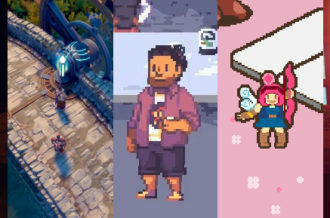 We were completely spoiled with the debut of three new Pokémon and more info about the legendaries, so hopefully there will something fun to look forward to soon. 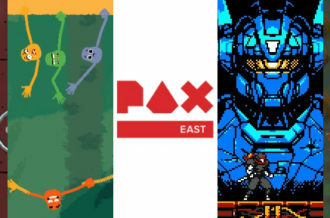 Until then, we know we’ll get to see everything on November 18 when the games launch worldwide.